I thought these charts, from fivethirtyeight.com, were interesting. 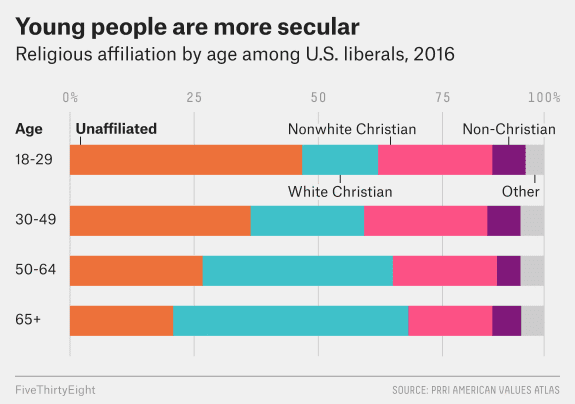 The first shows the growing abandonment of religion by American liberals in each age group. 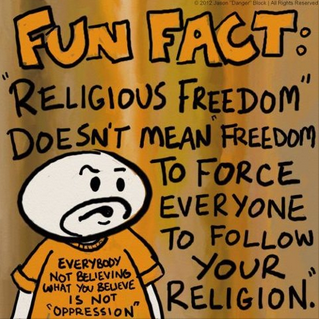 It aligns with the generational abandonment of religion I have previously reported (as each generation has more religiously non-affiliated people that the generation before it). 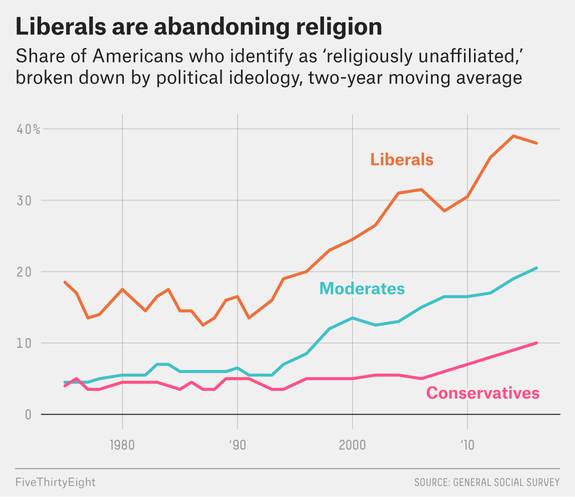 The second chart shows the abandonment of religion by each political group. The liberals are by far the largest group giving up their religion. This doesn't really surprise me, since liberals want fact rather than magical thinking. Moderates and Conservatives showed some increase in religious non-affiliation, but not nearly as much a among liberals. 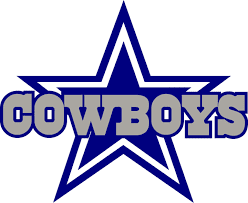 Regular readers will know that I am a huge fan of the Dallas Cowboys, and I also love the NFL draft -- so the last three days have been a lot of fun for me. This year, the Cowboys were pretty thin at a couple of positions (defensive end and cornerback) -- and they addressed those needs in the first three rounds of the draft. I don't know that any of those three will be instant starters, but the hope is that all three can play and contribute this next year. The fourth round pick was a wide receiver, but also an excellent punt returner -- which is probably how he'll contribute this season. They also got a couple more defensive backs and a couple of defensive linemen (and another wide receiver) later in the draft. We'll have to wait until training camp to see if they make the team -- but the Cowboys have a good history of finding players in the later rounds, so they might work out. On the whole, I think they did a very good job of drafting this year. 6' 6" - 277 lbs. 6' 0" - 202 lbs. 5' 10" - 188 lbs. 5' 9" - 181 lbs. 5' 11" - 197 lbs. 6' 0" - 194 lbs. 6' 3" - 300 lbs. 6' 2" - 222 lbs. 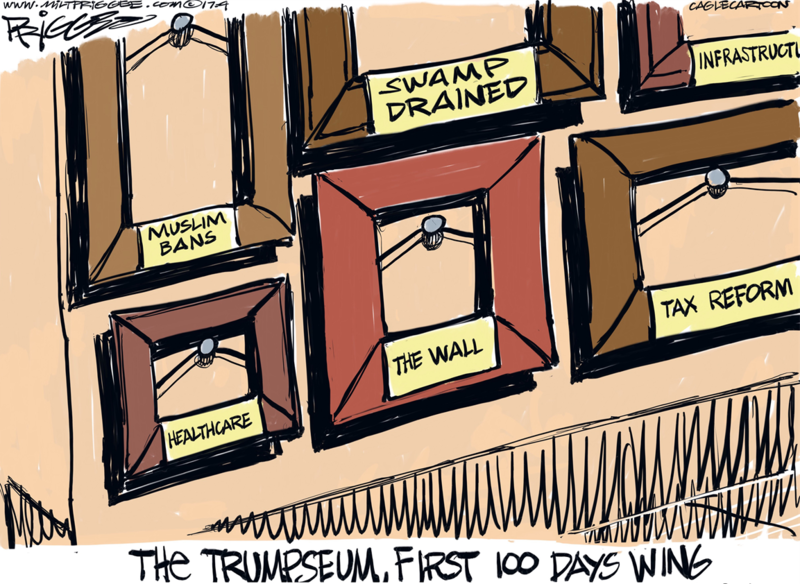 Donald Trump is bragging about all he has accomplished in his first 100 days in office. While any positive accomplishments are arguable, there is no doubt that he has had some negative accomplishments -- especially as far as American workers are concerned. 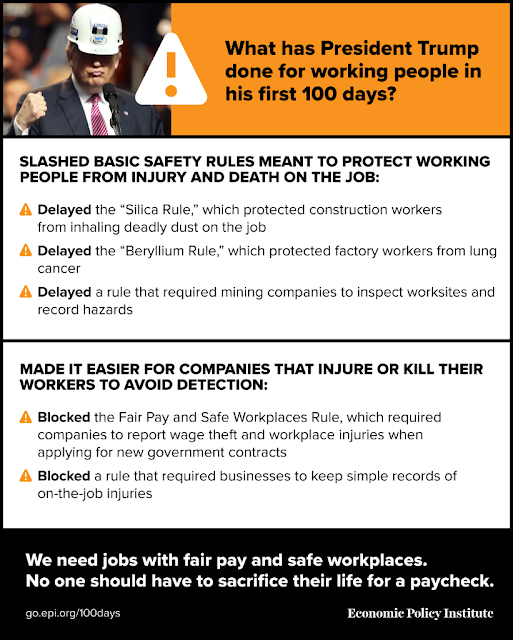 In his first 100 days in office, President Trump has continued to talk about creating “jobs where Americans prosper and grow.” However, his actions during that time tell a different story. He has already instituted policies that make workers less safe in the workplace and threaten their ability to access earned benefits like unemployment insurance. 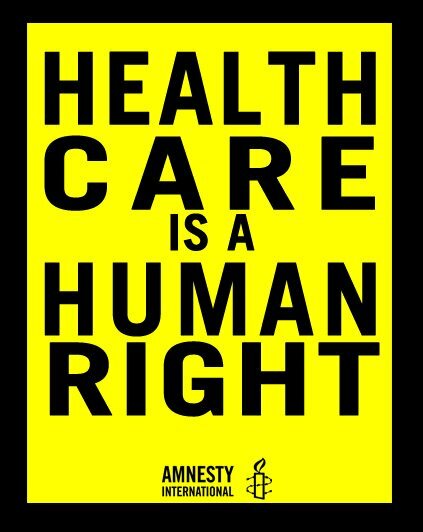 Trump has used his time in office to support legislation that would have stripped health care coverage from millions of Americans—many of them workers. His first choice for labor secretary was CEO of a company with an established record of violating basic labor and employment laws. Trump’s second nominee to that post failed to answer important questions at his confirmation hearing and expressed an openness to undermining long-established labor standards that protect workers’ time and earnings. 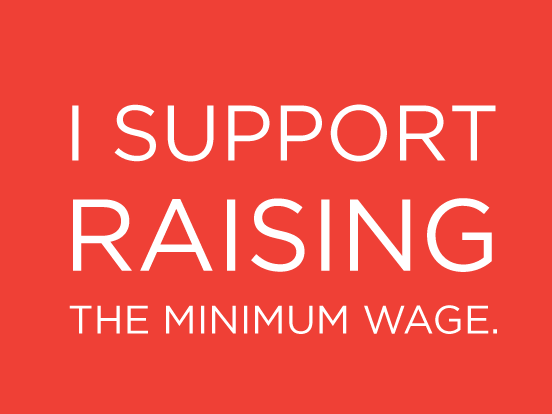 This nation’s workers deserve more than talk. 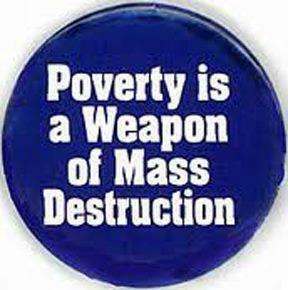 They continue to struggle with rising economic inequality and slow wage growth. 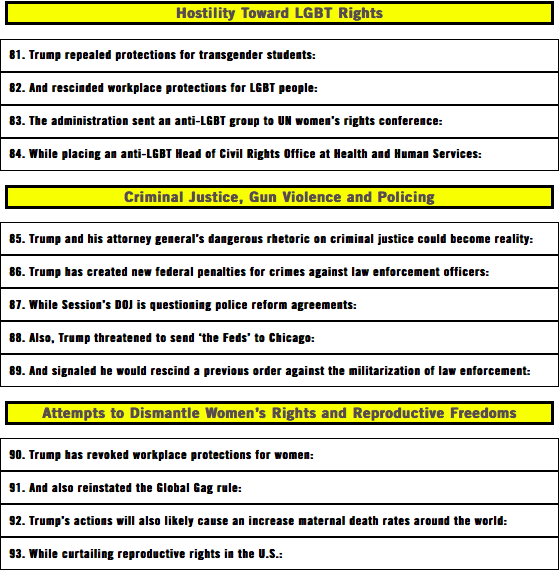 President Trump has done nothing in his first 100 days to address these issues. In fact, his agenda of deregulation of worker protections clearly undercuts workers and a fair economy. 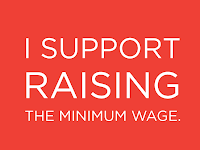 If Trump were serious about improving the lives of working men and women, he would advance policies that boost workers’ wages and quality of life instead of using rhetoric to divide working people. 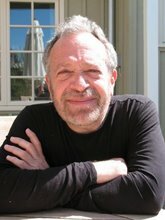 Trump would assemble advisers with experience advocating for workers instead of selecting Wall Street financiers and corporate owners who for decades have used government policy to shift economic leverage and bargaining power away from low- and middle-wage workers, eviscerating labor laws and devaluing the minimum wage. He would advance judicial nominees who would serve as neutral arbiters of the law instead of selecting a Supreme Court justice with a record of hostility to worker safety. 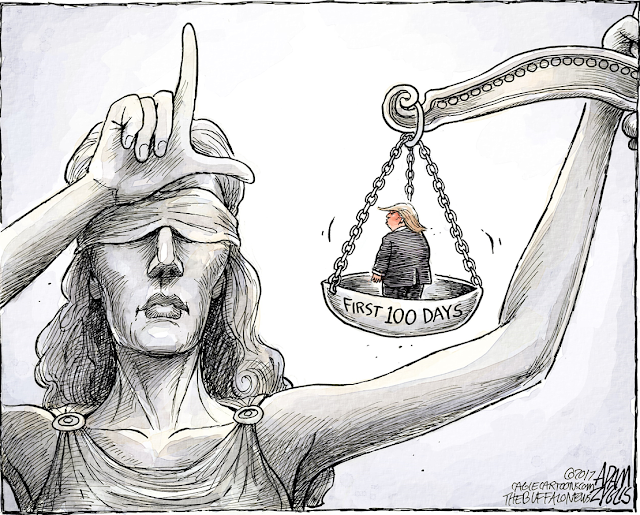 If Trump wanted to help working men and women “prosper and grow,” he would have acted very differently during his first 100 days. NBC Shows Trump's First 100 Days "By The Numbers"
Americans don't have much faith in Congress conducting a fair, impartial, and thorough investigation of the ties the Trump campaign had to Russia in the 2016 presidential campaign. 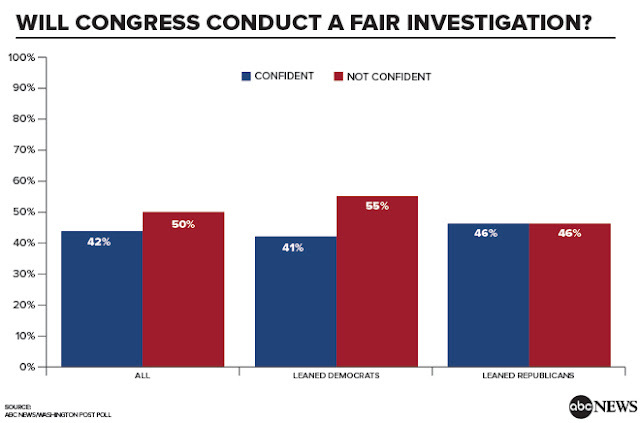 About 50% of the general public and 55% of Democrats (and leaners) say Congress will not be fair -- and about 46% of Republicans (and leaners) agree. It's time for an impartial independent investigator to be appointed. This chart is from a new ABC News / Washington Post Poll -- done between April 17th and 20th of a random national sample of 1,004 adults, with a margin of error of 3.5 points. 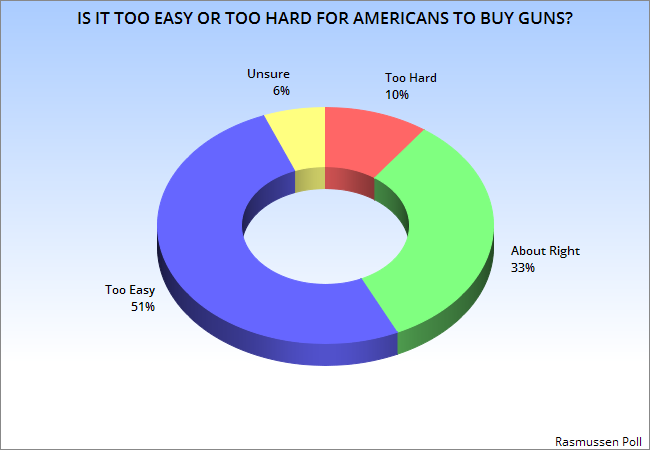 Most People Think It's Too easy To Buy A Gun In U.S.
Last year, when Rasmussen asked this question, only 44% said it was too easy to buy a gun in the United States. That has now climbed to a slim majority of 51%. Maybe Americans are finally waking up and realizing that we bring the thousands of gun deaths each year on ourselves -- with laws that make it easy for anyone (including criminals and terrorists) to buy a gun. The least we could do is make ALL gun buyers pass a background check (something that over 80% of Americans would support). That would not affect law-abiding citizens, but would make it much harder for criminals and terrorists to get a gun -- and it would NOT violate the Second Amendment of the Constitution. The chart above is from the Rasmussen Poll -- done on April 25th and 26th of a random national sample of likely voters, with a 3 point margin of error. The general consensus is that the first 100 days of the Trump administration has been a failure. 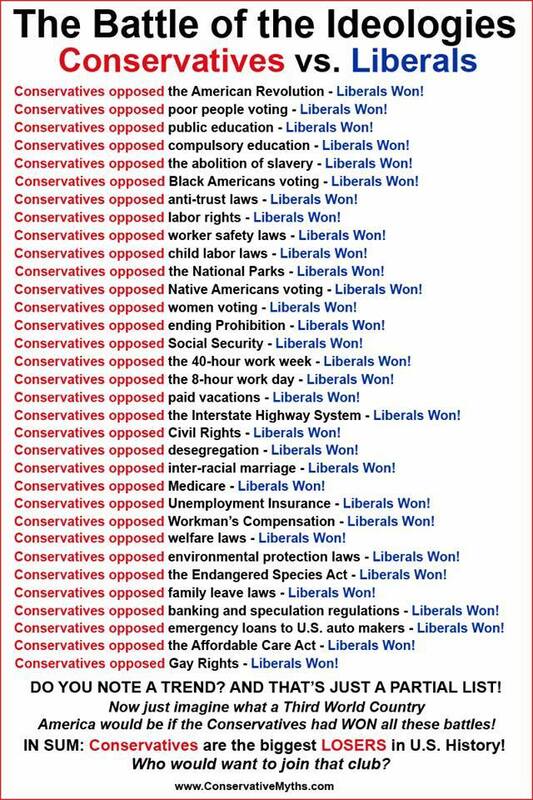 If you are talking about political accomplishments, that is true. But there is another aspect of Trump's presidency -- his ability to make himself (and his family) much richer (at the expense of the American taxpayer). When you only consider that aspect, then Trump has been a huge success! 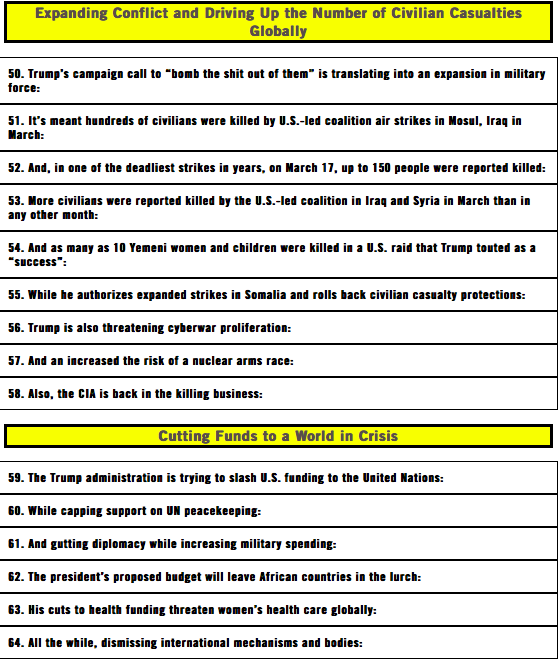 But Trump isn’t failing. He and his family appear to be making money hand over fist. It's a spectacle the likes of which we've never seen in the United States, and while it may end in disaster for the Trumps someday, for now it shows no real sign of failure. During the campaign and for much of the transition, Trump liked to at least vaguely allude to the idea that as president, he would separate himself from his business empire and do something to provide the public with transparency on his taxes. Since winning, he’s made clear that’s not going to happen. The day-to-day management of the companies is in the hands of his two oldest sons, while his oldest daughter and her husband (both of whom run substantial businesses in their own right) serve as high-ranking officials in the White House. 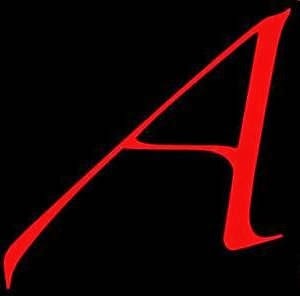 Derek Kravitz and Al Shaw reporting for ProPublica have confirmed that the terms of the trust in which the Trump Organization is held allow the president to pull money out of the company at any time. Eric Trump says he is giving his father regular updates on the state of the Trump Organization, on a “probably quarterly” timeline but with no specific commitments. Donald Trump Jr. is not only a top executive at the Trump Organization but also does surrogate interviews on behalf of the president. Beyond that, of course, there’s the fundamental reality that everyone knows Trump owns properties like the Trump National Golf Club or Trump Tower because they have his name slapped on them. To an extent, this allows Trump to simply funnel money directly into his own pockets. Like many previous presidents, he golfs. And like all presidents who golf, when he hits the green, he is accompanied by Secret Service agents. The agents use golf carts to get around the courses. And to get their hands on the golf carts, they need to rent them from the golf courses at which the president plays. All of this is fundamentally normal — except for the fact that Trump golfs at courses he owns. So when the Secret Service spends $35,000 on Mar-a-Lago golf cart rentals, it’s not just a normal security expense — Trump is personally profiting from his own protection. The Secret Service has, similarly, paid $64,000 for “elevator services” in Trump Tower. This is a fairly normal kind of expense for the agency, paying a building money to defray the inconvenience of taking elevators offline so they can be inspected for security purposes. But, again, there is nothing normal about the president personally profiting from the security procedure. When Trump’s sons fly around the world doing business deals, they too are protected by Secret Service agents whose bills the federal government covers — even if they are staying at Trump properties. There is something grating about this, especially from a president who is making a big show of donating his salary to charity. 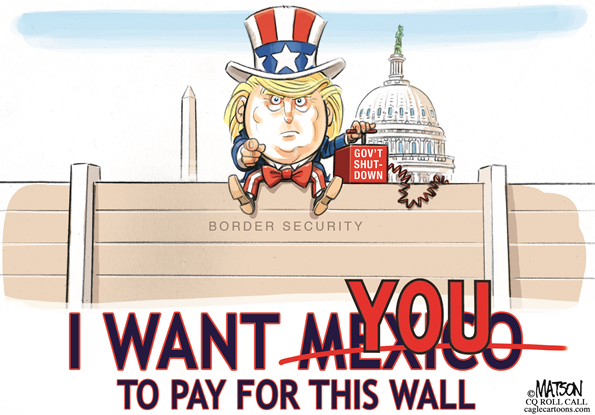 Trump is directly pocketing what could easily amount to hundreds of thousands of dollars a year in direct payments from the Treasury, while simultaneously claiming to be serving for free. What’s more troubling, however, is indirect financial entanglements into which we have little real visibility. Ivanka Trump, for example, was granted five trademarks by the Chinese government on the very same day she had dinner with Chinese President Xi Jinping. Also on that day, Ivanka’s father decided to break his campaign pledge to officially designate China as a currency manipulator. That decision, by all accounts, reflected the growing clout inside the White House of National Economic Council Director Gary Cohn and his key ally Jared Kushner, who happens to be Ivanka’s husband and in a position to directly gain or lose from China’s decisions regarding his wife’s trademark applications. There’s of course no way to demonstrate a quid pro quo there, but the basic dynamics are clear. Back in February, Bloomberg reported that “[a]s countries around the world figure out how to influence the new U.S. administration, China is going straight to the top: Trump’s immediate family.” Kushner and Ivanka Trump were guests of honor at a Chinese New Year celebration organized by the Chinese Embassy in Washington, and the trademark applications are just part of the overall package. China is on good terms with Trump’s family, and Trump’s family has helped keep China on good terms with the United States. Similarly, Ivanka was closing business deals in Japan while simultaneously joining her father in meeting with Prime Minister Shinzo Abe. This same trend can easily point in darker directions. The Trump family has business interests in the Persian Gulf, and Trump’s foreign policy is moving the United States into much closer alignment with the Gulf monarchies, including deeper involvement in a disastrous war in Yemen and abandonment of any pretense of caring about human rights in Egypt. In a normal administration, it would go without saying that American attitudes toward civil strife in Indonesia — no matter how misguided — were driven primarily by policy considerations and not by the president’s personal financial interests. 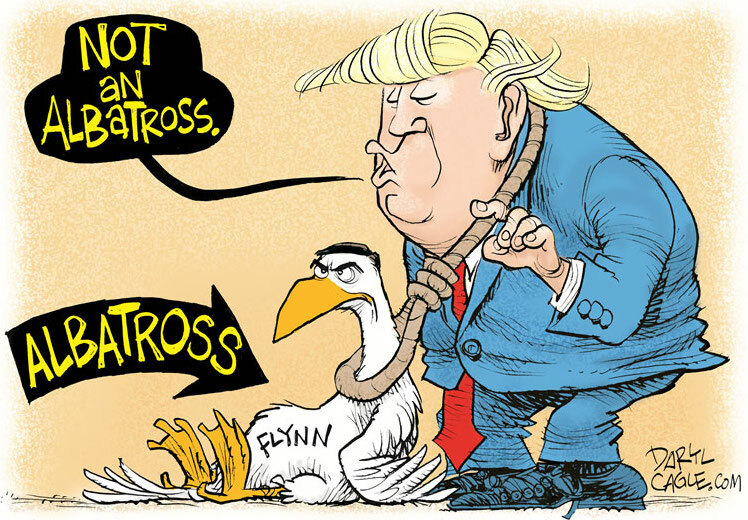 With Trump, we have no such assurance. 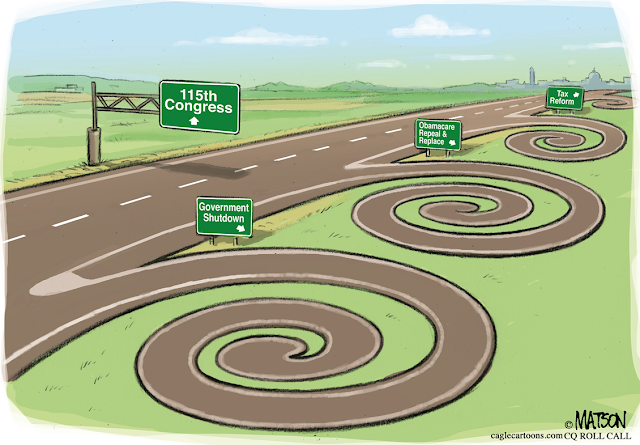 Political Cartoon is by Jeff Koterba in the Omaha World-Herald. With polls showing most Americans disapprove of the job Trump is doing, and consider his time in office to be a failure (at least so far), it's probably a good thing (for Trump) that he has several years to right his political ship (assuming nothing impeachable is found in his relations with Russia during the 2016 campaign). 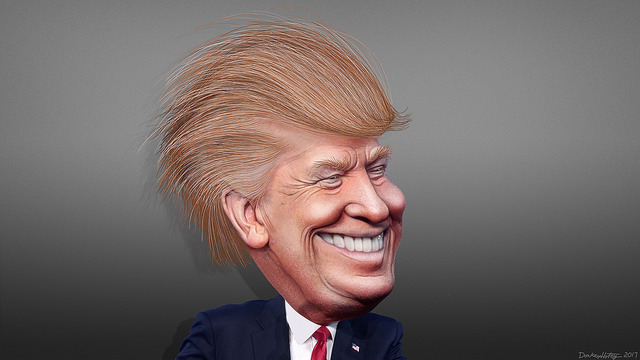 A new Fox News Poll (done between April 23rd and 25th of a random national sample of 1,009 registered voters, with a 3 point margin of error) decided to see just how Trump stood with the voters in terms of electability. And what they found was not good for Trump. Only 36% of registered voters say they would vote for Donald Trump if the 2020 election for president was held right now. A majority of 55% said they would vote for someone else (and 8% said they were unsure). Unless Trump can rehabilitate his political image among the public, he is looking like a one-term president. 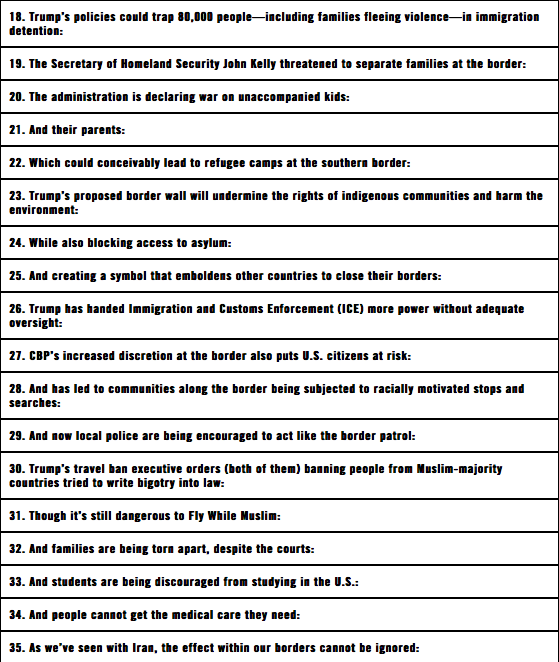 This chart uses information in a new Rasmussen Poll -- done on April 25th and 26th of a random national sample of 1,000 likely voters, with a margin of error of 3 points. 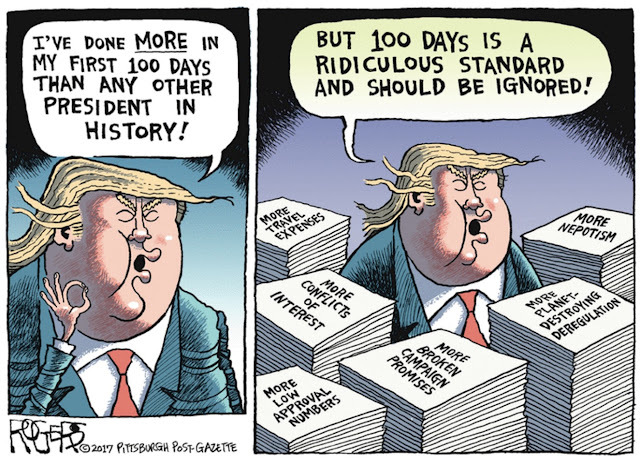 Trump has completed his first 100 days in office. 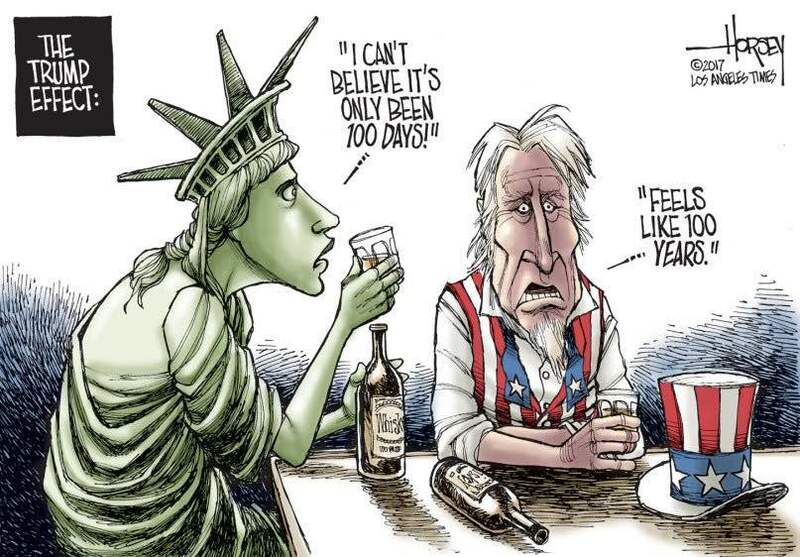 Were those 100 days a success or a failure. Republicans think it was a success by 39 points, but they are alone in that assessment. 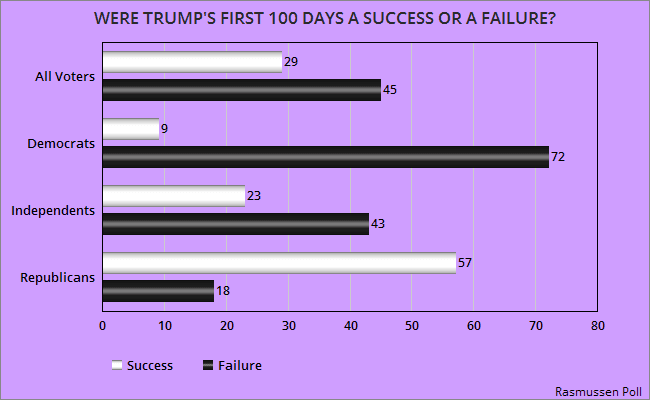 The general public rates those 100 days as a failure by 16 points -- 20 pints by Independents and 63 points by Democrats. It's not really a surprise that the public would rate Trump's first 100 days a failure, since almost every poll for weeks now has shown that a majority disapprove of the job he's doing. This is a deeply unpopular president. Will The "American Democracy Die In Dumbness" ? 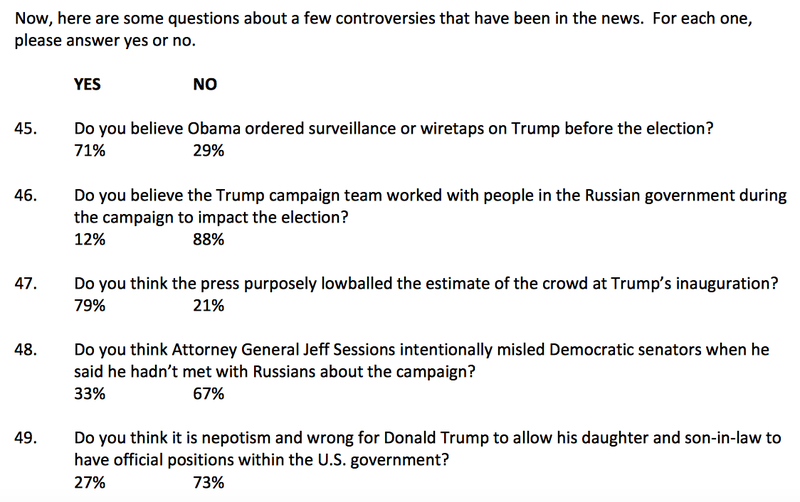 Poll after poll has shown that the American public does not think Donald Trump is doing a good job as president, and is dishonest and untrustworthy. That is not the case among those who voted for Trump in last November's election though. The questions above are from a new University of Virginia Center for Politics Poll -- done between April 17th and 19th of a random national sample of 1,000 Trump voters, with a 3.1 point margin of error. It shows that almost all of his voters are still supporting him, with a job approval rating of 93% approval to 7% disapproval. That's pretty remarkable considering all the lies he has told and issues he has flip-flopped on. The poll shows they really don't care about his position of the issues -- with 83% saying they are not concerned about his issue flip-flops. 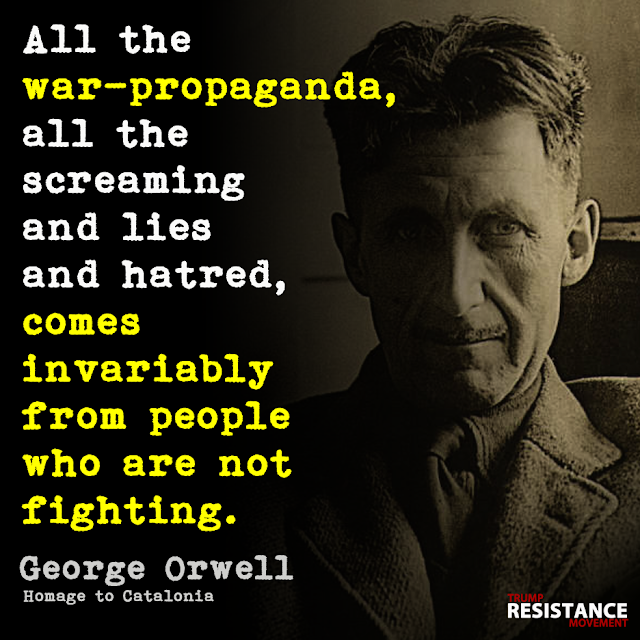 A large percentage of them also believe the lies he has told. This seems to verify that his support was not because of his positions on the issues or the solutions he offered for the country's problem. It was much more a cult of personality -- with supporters jumping on his bandwagon because he hated all the same people they hate. Trump is at this point the most unpopular new president in the history of modern polling. What is bewildering is that at the same time, 96% of Trump voters say they have no regrets about their choice. How can this be? Is it just partisanship, with Americans so divided that they will simply cheer on their own team and stay loyal beyond all rational thought? . . . The wide disagreement among Americans on the president’s performance, however, is more than partisanship. 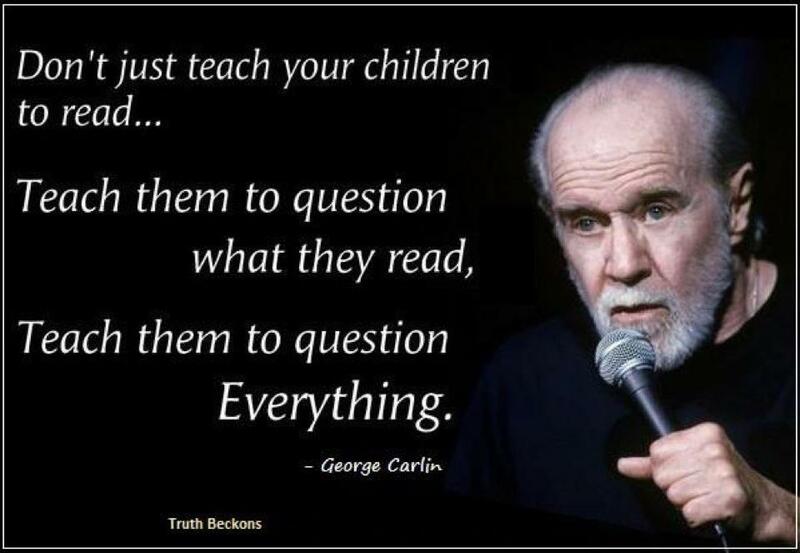 It is a matter of political literacy. 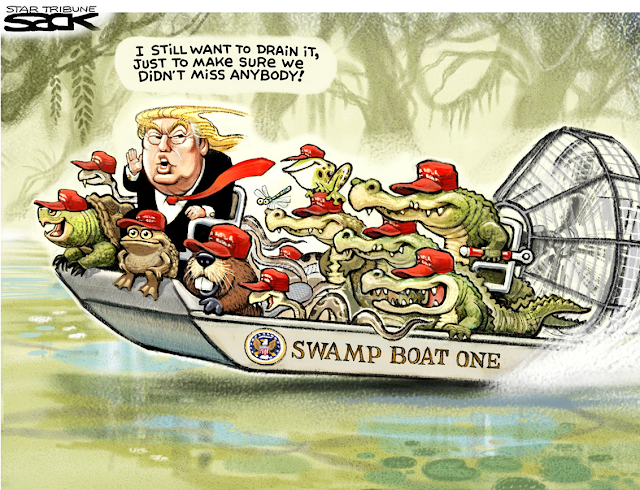 The fact of the matter is that too many Trump supporters do not hold the president responsible for his mistakes or erratic behavior because they are incapable of recognizing them as mistakes. They lack the foundational knowledge and basic political engagement required to know the difference between facts and errors, or even between truth and lies. As the social psychologist David Dunning wrote during the campaign, “Some voters, especially those facing significant distress in their life, might like some of what they hear from Trump, but they do not know enough to hold him accountable for the serious gaffes he makes.” In other words, it’s not that they forgave Trump for being wrong, but rather that they failed “to recognize those gaffes as missteps” in the first place. . . .
To be sure, some of Trump’s voters, like any others, are just cynical and expect the worst from every elected official. Others among them grasp Trump’s failings but fall back on the sour but understandable consolation that at least he is not Clinton. 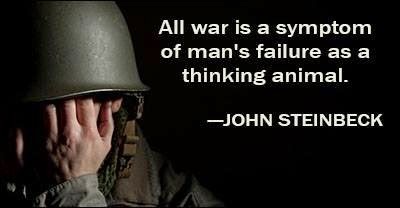 But many simply don’t see a problem. . . . There is a more disturbing possibility here than pure ignorance: that voters not only do not understand these issues, but also that they simply do not care about them. As his supporters like to point out, Trump makes the right enemies, and that’s enough for them. Journalists, scientists, policy wonks — as long as “the elites” are upset, Trump’s voters assume that the administration is doing something right. “He makes them uncomfortable, which makes me happy,” Ohio Trump voter James Cassidy told the Toronto Star’s Daniel Dale. Syria? Korea? 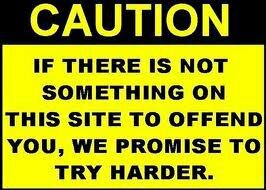 Health care reform? Foreign aid? Just so much mumbo-jumbo, the kind of Sunday morning talk-show stuff only coastal elitists care about. 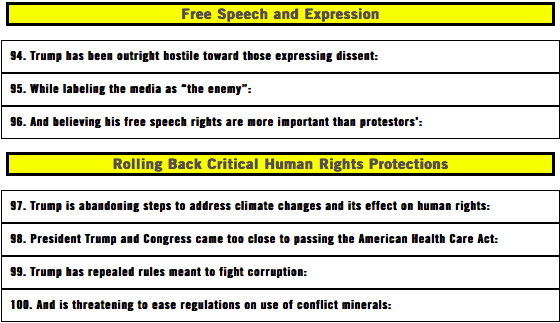 There is a serious danger to American democracy in all this. When voters choose ill-informed grudges and diffuse resentment over the public good, a republic becomes unsustainable. 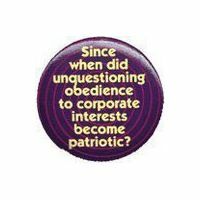 The temperance and prudent reasoning required of representative government gets pushed aside in favor of whatever ignorant idea has seized the public at that moment. The Washington Post recently changed its motto to “democracy dies in darkness,” a phrase that is not only pretentious but inaccurate. 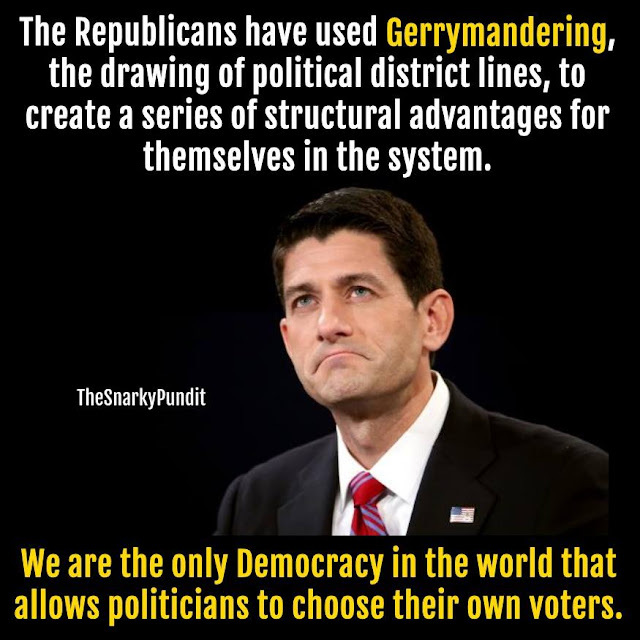 More likely, American democracy will die in dumbness. Those of us who criticized Trump voters for their angry populism were often told during and after the election not to condescend to our fellow citizens, and to respect their choices. This is fair. In a democracy, every vote counts equally and the president won an impressive and legitimate electoral victory. Even so, the unwillingness of so many of his supporters to hold him to even a minimal standard of accountability means that a certain amount of condescension from the rest of us is unavoidable. 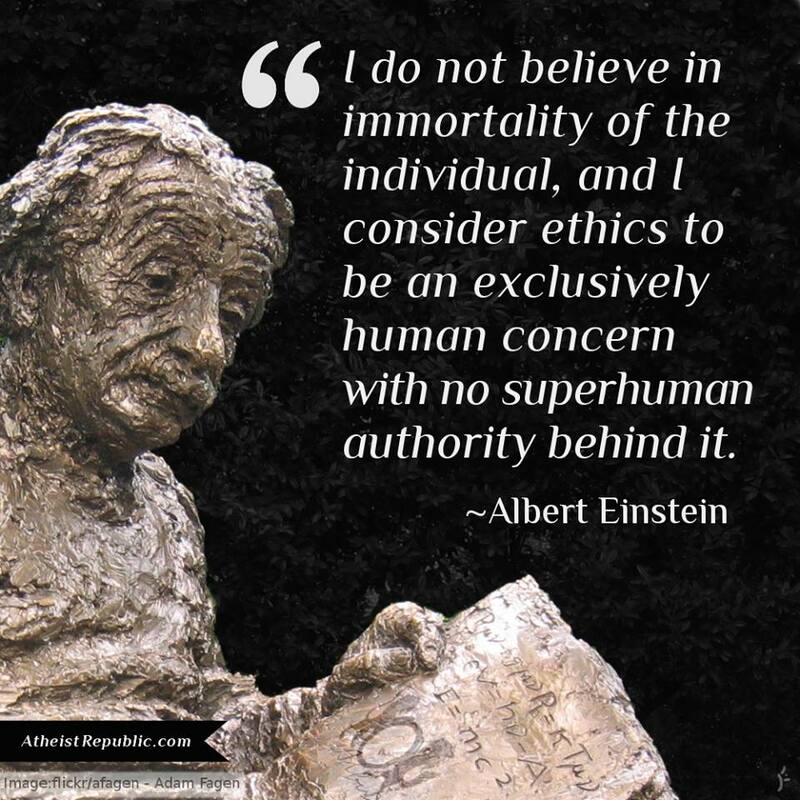 In every election, we must respect the value of each vote. We are never required, however, to assume that each vote was cast with equal probity or intelligence. Donald Trump has finally outlined his tax cut plan, and it's even worse than expected. 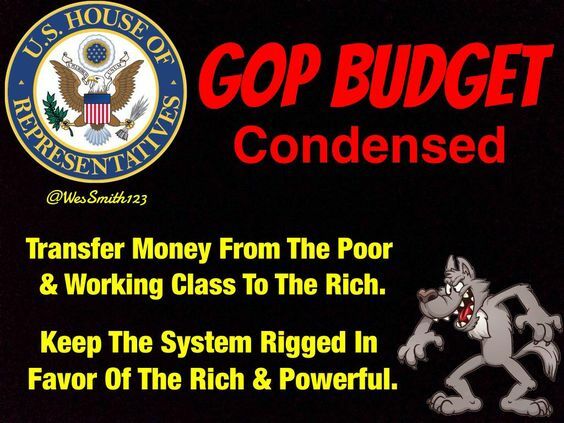 It includes a bevy of tax cuts for the rich and corporations (lowering top rate to 35%, lowering corporate rate to 15%, lowering capital gains rate to 20%, eliminating the estate tax applying to inheritances over $5 million, etc. ), and very little for anyone else (doubling the standard deduction while eliminating most other deductions). 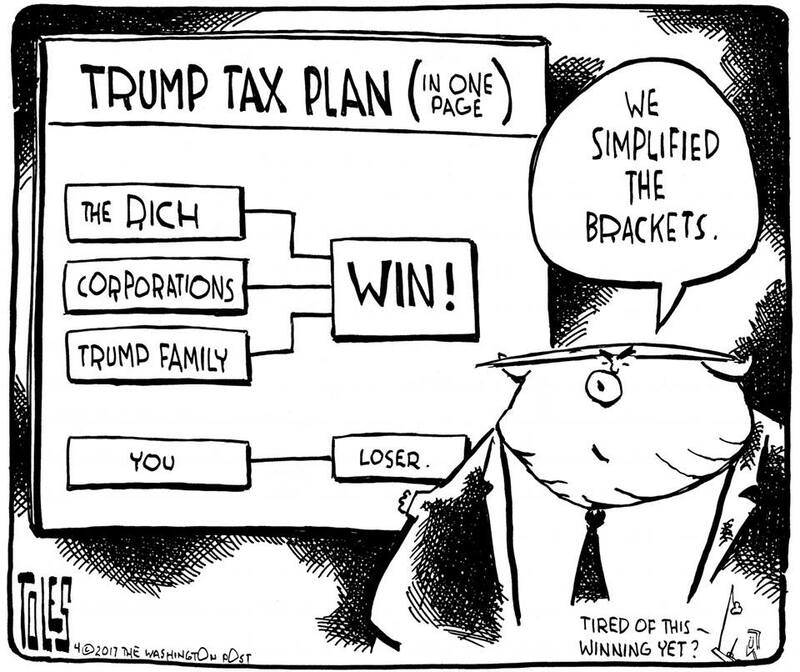 If you're rich, or own a business, then you'll probably love Trump's plan. If you're not, then you won't get much of a tax cut (if anything at all). When rolling out this massive tax cut for the rich and corporations, the Trump administration made two claims -- neither of which is even remotely true. The first is that the tax cut will pay for itself (i.e., be revenue neutral) by stimulating the economy. That is the same old lie that Republicans have been telling for generations to try and justify giving themselves (and their rich cronies) a tax cut. 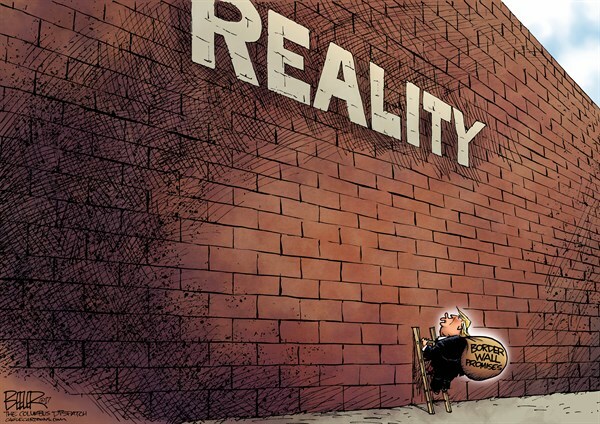 Reagan claimed it was true when he cut taxes, but it just added $1.4 trillion in deficits (a 142% increase). Bush II also claimed it was true, and it added $3.2 trillion in deficits. Tax cuts do NOT pay for themselves. That is just magical and wishful thinking. Cutting government revenues always grows the deficit (and the national debt) -- and Trump's massive tax cuts for the rich will balloon the deficit beyond all previous presidents. 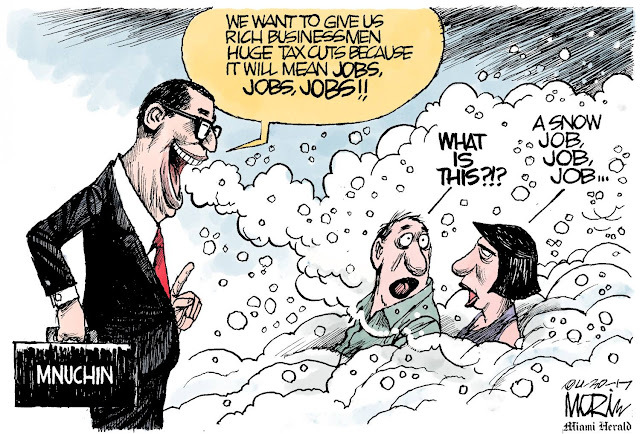 The second is that the tax cuts, especially the huge tax cuts for corporations and other businesses will create new jobs. 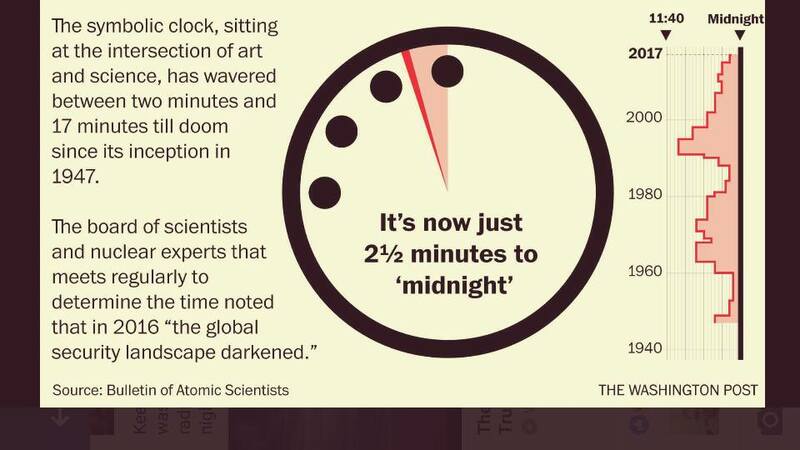 There is no empirical evidence for this. Tax cuts (or raising taxes) don't have an effect on job creation. There have been times of rapid job growth when taxes were high (such as 1950's and 60's) and times of low job growth when taxes were low (Bush II administration). There is only one thing that spurs new job creation -- a significant increase in the demand for goods and services. A good business person will hire new workers when it is necessary to meet a rise in the demand for his/her goods or services. 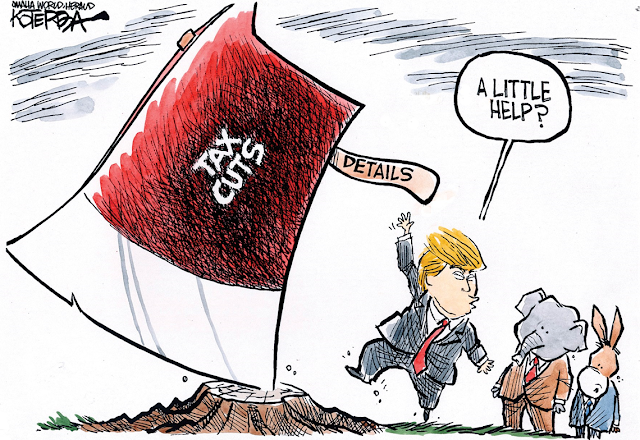 They will not do it just because they have a lower tax rate (while demand remains the same) -- because hiring unnecessary workers would just cut into the profits they make. Demand is not increased by giving corporations and the rich a tax cut. 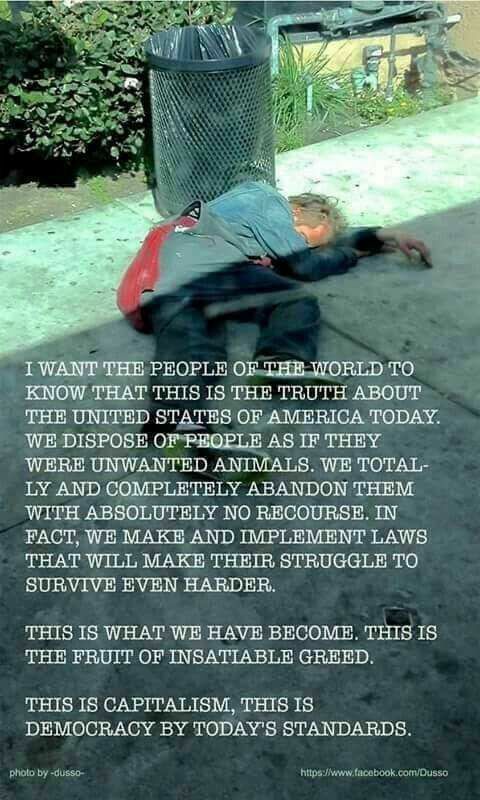 They already have the money to buy what they want/need, and increasing the amount they have will not increase their demand for goods/services. Demand is increased when the masses have more money to spend (especially among lower income families who have to spend that extra income to meet their needs). The one thing in Trump's proposal that might have an effect on demand is the increase in the standard deduction for taxpayers, but that small decrease in taxes is unlikely to have a substantial effect on demand. 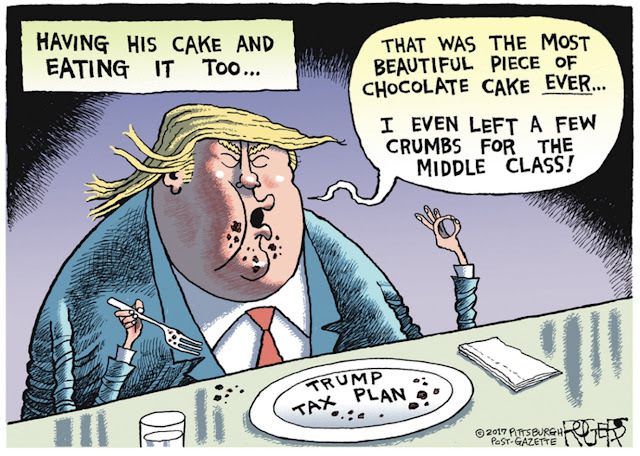 This tax cut plan will not pay for itself, and it will not create a huge number of new jobs -- but I think Trump and his Republican buddies know that. Those are just lies they tell to try and placate the middle class while giving most of the cuts to the rich, the corporations, and Wall Street. The chart above reflects the numbers of a new Gallup Poll -- done on April 21st and 22nd of a random national sample of 1,024 adults, with a 4 point margin of error. Trump has bragged that he would be a great president on the economy -- spurring economic growth and creating a massive amount of new jobs. The chart shows the public is not buying into those claims right now. 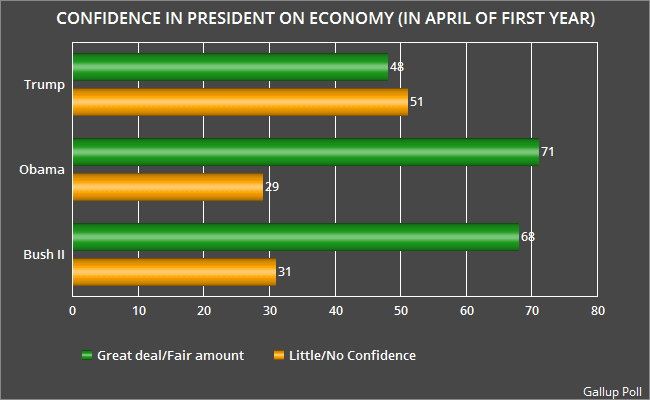 Only 48% of the public has a great deal/fair amount of confidence in Trump on the economy, while 51% have little or no confidence in Trump's ability to handle the economy effectively. Those are abnormally low figures for a president in April of the first year of his first term. At this same time in their presidencies, George W. Bush had a 20 point higher rating than Trump and Barack Obama had a 23 point higher rating. The public likes to give presidents of both parties the benefit of the doubt as they begin their first term, but not with Trump. 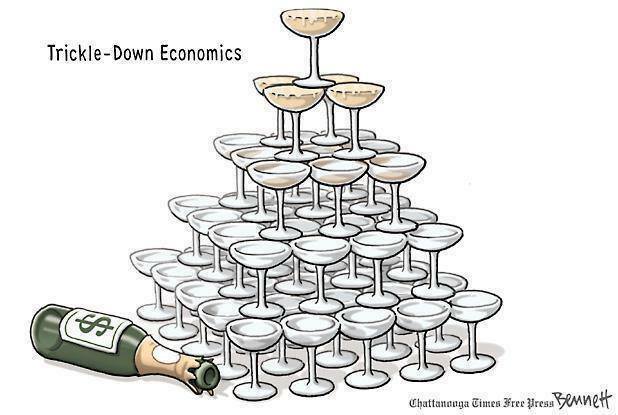 Many more Americans think Trump either doesn't have the economic knowledge necessary to fix the economy, or that he will simply act to better his own wealth (and that of his rich cronies) -- and so far, Trump has done nothing to dispel that. 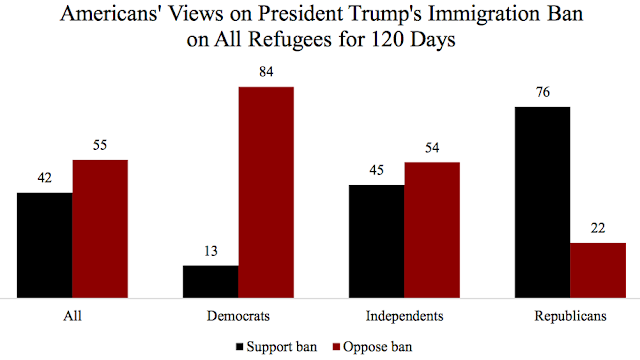 These charts are from surveys done by the Politico / Harvard School of Public Health Poll -- done between March 22nd and 26th and between March 29th and April 2nd. 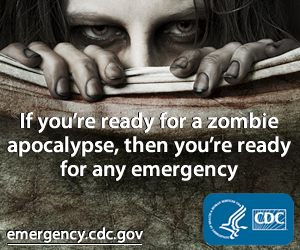 They questioned a total of 2,036 randomly selected national adults, and the margin of error is about 3.7 points. 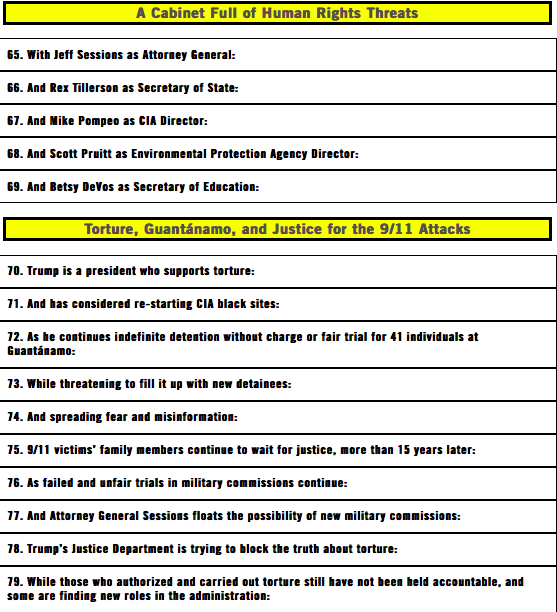 As you can see, the public is not sold on many of the things Trump wants to do. 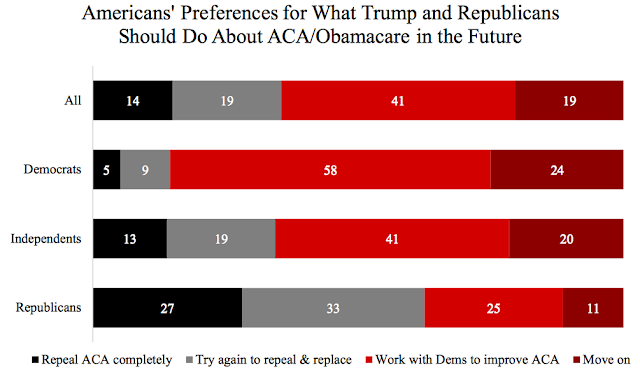 About 60% are opposed to the continuing effort to repeal and replace Obamacare, 54% oppose GOP efforts to change Medicaid, 55% oppose Trump's ban on all immigrants for 120 days, 62% oppose building a wall between the U.S. and Mexico, 60% oppose Trump's proposed cuts to the EPA, and 62% would oppose withdrawing the U.S. from the Paris accord on global climate change. 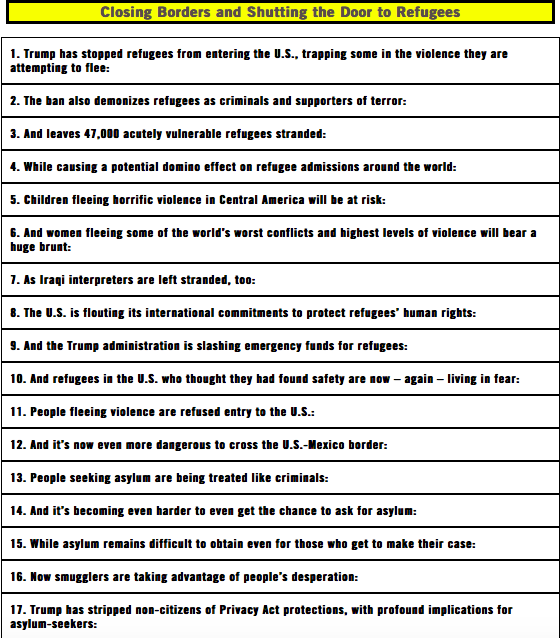 This does not bode well for the Trump administration, since these are all things he is continuing to push. "Trump's Corporate Tax Cut Is Apallingly Dumb"
5. The White House says corporations will use the extra profits they get from the tax cut to invest in more capacity and jobs. Rubbish. They’re now using a large portion of their profits tobuy back their shares of stock and to buy other companies, in order to raise their stock prices. There’s no reason to suppose they’ll do any different with even more profits. Political Cartoon is by R.J. Matson at Roll Call. Trump, and his Republican cohorts in Congress, are still claiming they will repeal Obamacare -- and replace it with a plan of their own. 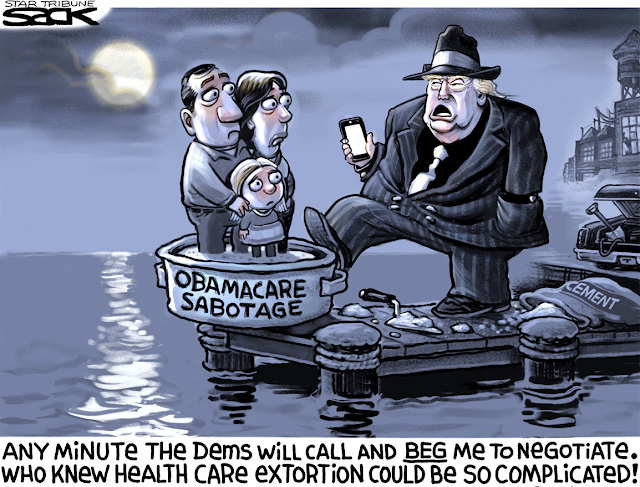 They have been negotiating among themselves since their initial plan failed, and while they claim they are "close" to agreeing on a plan, there is no date set for a vote in Congress (or real evidence they have a plan that will work). 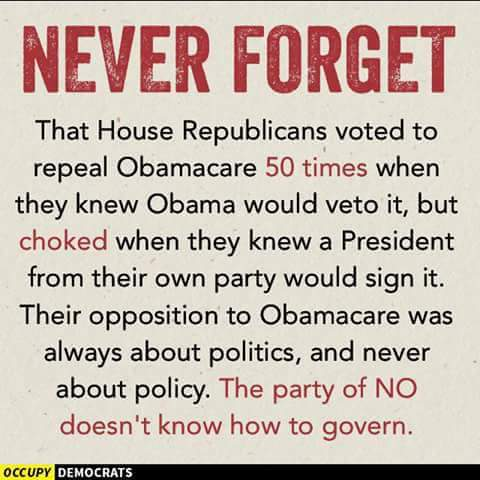 Rumor has it that, in an effort to please their "freedom caucus", they have made their original plan even worse. It now will not only reduce or eliminate subsidies (throwing millions off the health insurance rolls), but now will allow states to decide whether insurance companies can charge some people more (like those with pre-existing conditions), or whether insurance companies have to sell a plan with guaranteed benefits. 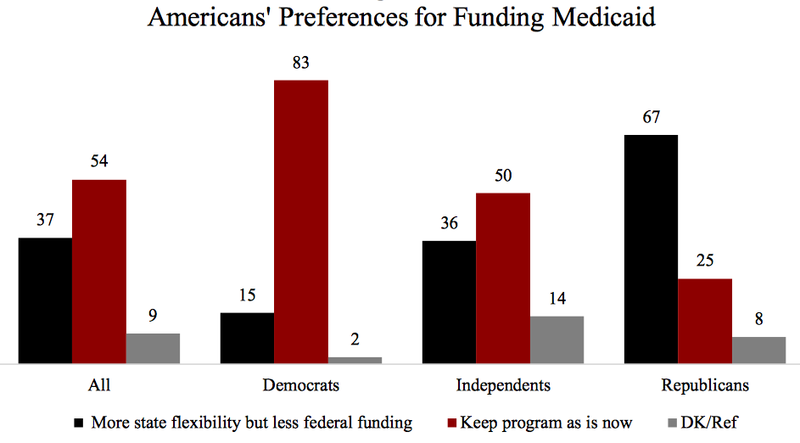 It's no surprise to me that Republicans can't agree to vote on a plan. They are probably reading the same polls that we all are -- polls that say the opposition to their "repeal and replace" plan is growing more unpopular each day. The chart above shows this. 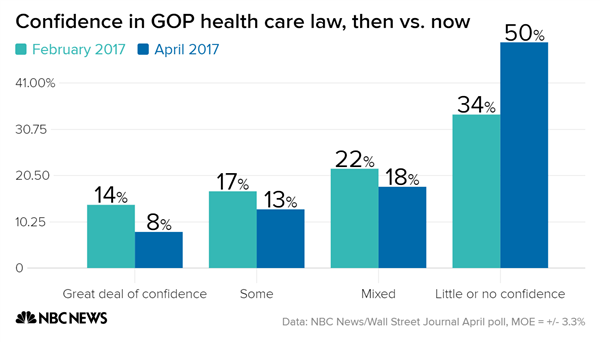 Back in February, about 34% said they had little or no confidence in the Republican plan. 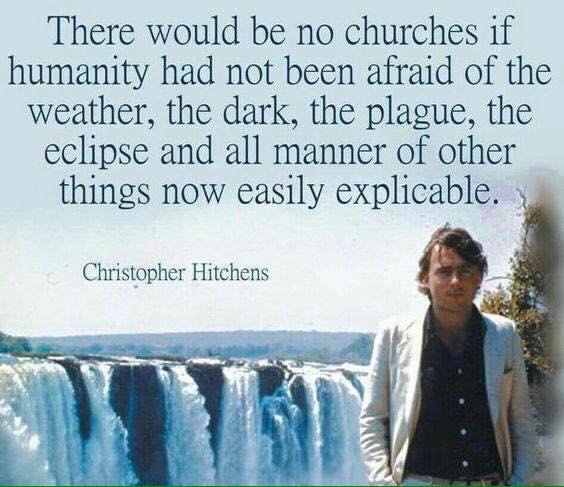 That has now grown to 50% (half of the population). Most people now want Obamacare kept, and fixed. 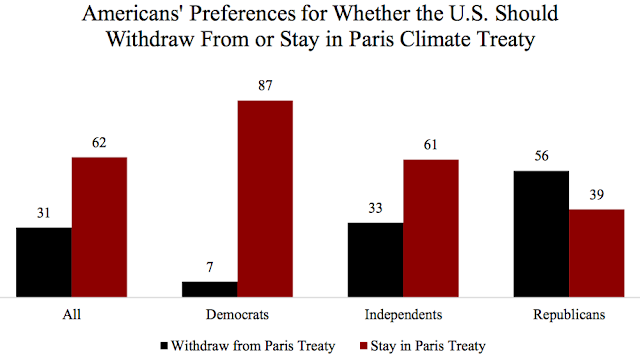 This chart is from a new NBC News / Wall Street Journal Poll -- done between April 17th and 20th of a random national sample of 900 adults, with a margin of error of 3.3 points. Donald Trump's job approval is upside-down among the general public -- with significantly more people disapproving of the job he's doing than approve of it. But the group he does the worst with are young people between the ages of 18 and 29. Only 32% of young people approve of the job Trump is doing, while a whopping 66% disapprove. 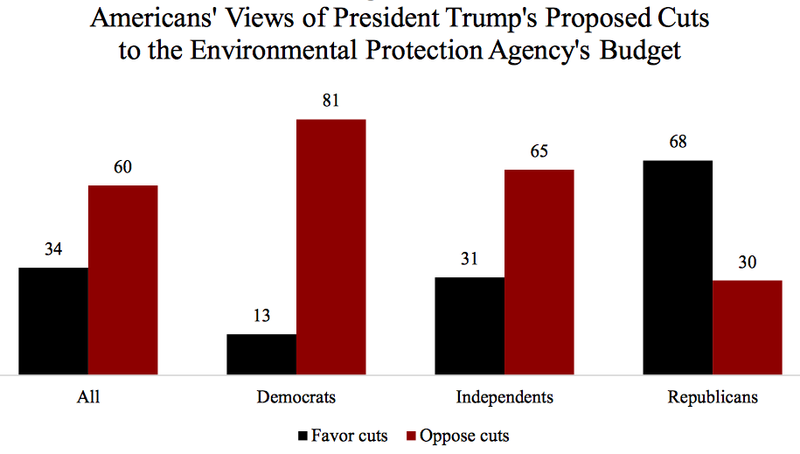 And when you break it down into how he's handling the individual issues, that disapproval is just as strong (see bottom chart). These charts were made from information in a Harvard University Institute of Politics Poll -- done between March 10th and 24th of a random national sample of 2,654 young people (18-29), with a margin of error of 2.7 points.